Will Ferrell is joining his other "SNL" alums and coming home to roost at NBC. The actor has a pilot order in place with the network for a comedy called "Mission Control," which will have a style similar to "Anchorman." According to the Hollywood Reporter, "Mission Control" will be set in 1962 and focus on the tension between an opinionated woman and a macho astronaut in the race to land on the moon. 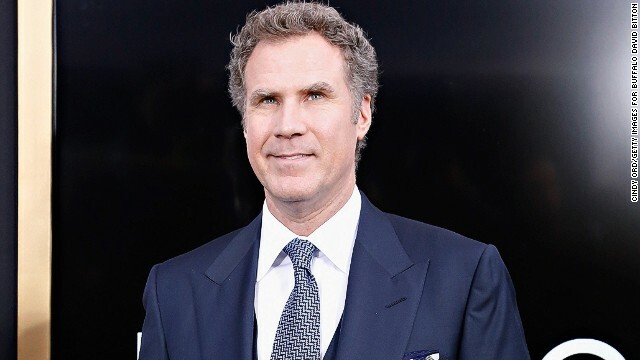 Ferrell will executive produce "Mission Control" along with Adam McKay and David Hornsby, who's also writing the pilot. In addition to the comedy from Ferrell, NBC has also ordered pilots from Jason Katims and Dan Mazer. Katims' comedy "Ellen More Or Less" is about a woman who begins to reinvent her life after losing 100 pounds, and Mazer's "Love Is Relative" tells the story of a married couple who begin to see their relationship in a new light after the wife's divorced brother becomes a roommate. What an embarrassment ... i hope comedian finally moves on too a better film career. Great, more Will Ferrell! (He said facetiously). Does NBC really want to kill what little of its reputation? This guy is stupid, as is any project he is associated with.